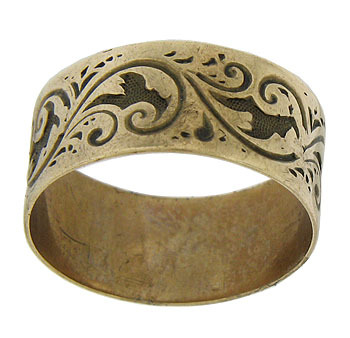 This Victorian wedding band is crafted of 8ct rose gold and impressed with a whirling pattern of vines and abstract leaves. 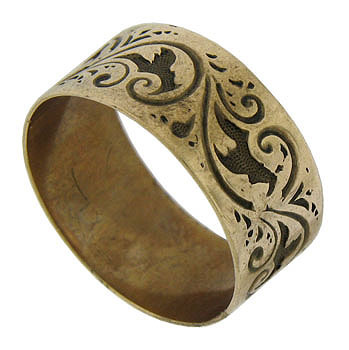 The handsome antique wedding ring measures 7.79 mm in width. Circa: 1880. Size 6. We cannot re-size.